Home » Integration » How Do We Actually Change? I recall my time in medical school. I was studying content endlessly and hearing it lectured weekly from professors. I rarely received instruction regarding a process or method to incorporate the mountains of content I was exposed to. The only implementation seemingly happening was some practice with fellow students and on patients. I remember learning how to draw blood by first practicing with a fellow student — what fun. We didn’t volunteer for each other as a result of being instructed to do so by our teachers, nor was the notion suggested in our academic study. But something in me, and my fellow students, knew that while we had studied “how to draw blood” in our books, and had watched experienced nurses demonstrate it for us, we actually had to experience the task firsthand, which would include our own cognitive, emotional, and physical, skill-developing processes. Embarking on intrapersonal development requires much of the same process. To really change our lives — which means to adjust something in ourselves, we need to include some sort of implementable process with each bit of content encountered. Overtime, I became devoted to developing processes for my clients that would coincide with their study of the Enneagram. 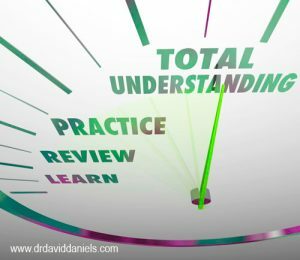 I focused much on how to integrate what we can memorize mentally with what we can learn and practice physically and emotionally. This means, working with all three centers of human intelligence: Belly Center/sensations, Heart Center/feelings, and Mental Center/thoughts. Actual development — change — requires conscious, emotive, sensory “embodiment,” and as such, the forming of “an experience” of the newer way of being. This also requires repetition, i.e. practice. 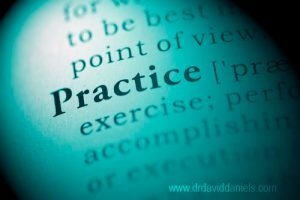 While we are in an age of personal growth gurus and an abundance of self-help information made readily available, I find that good practice, effective process, is missing in many of today’s approaches and teachings. With the emphasis heavily placed on the cognitive study of personal development information, models, and tips and tricks, there’s little emphasis on how to implement and practice these great teachings into actual developmental change and growth. To do this we need far more than good content; we need process. Process is fundamental to working effectively with the day-to-day content of your life as well as with those new concepts and models for self-development that you are trying to incorporate. For example, let’s take a look at using the 5-As process when faced with reactivity. When there is big distress, hurt, or anger coming at you or coming from within you, it’s important to be present to it, immediately. We might not like it, but, we can get present to it — allow the awareness of it. Next, we accept it as our current reality without judgment, critique, or suppression. It’s important to grasp the content of what’s happening so that the upset person, or the self within us, knows we are present. Furthermore, listening to the content openheartedly helps build a bond — with ourselves or with another. Keep in mind, “listening” to the content doesn’t necessarily mean we like it, concur with it, or agree with it. This is where we struggle. We seem to think that if we “listen” thoughtfully to what’s bothering us or to what’s bothering another person that we’re agreeing with it, or that we’re weak or a push-over. That’s not the case. Listening in order to process “is presence.” Once we listen, we appreciate what’s come up into our awareness. Next, what’s the appropriate and necessary action you may need or want to take? And finally, it’s about adherence. We commit to the action needed, we carry it out, we stay present to ourselves and the other, and we start the whole process again, if necessary. Awareness is the capacity for personal receptivity; it’s the result of grounding ourselves in the present moment and observing, witnessing, what’s comes up, what’s being thought, felt, and acted out. Fundamental to this is being able to breathe deeply, which grounds us in “the now,” explore the sensations of vitality in our reactivity, and then discover the underlying meanings driving our upset, what core belief has been challenged? While simple, this fundamental aspect of development takes practice, patience, and time. Acceptance is allowing the heart to open without judgment, to welcome — to accept — whatever is arising in the moment, both in self and others. This includes befriending our upset — not being either afraid of it, dismissive of it, or highjacked by it. It entails seeing clearly the tendencies of the judgmental mind, aka the super-ego, the inner critic. Acceptance of what’s there does not mean the “3Cs” of Capitulating, Condoning, or Concurring with one’s own or others’ reactivity or behavior. We are “free” when we truly grasp that what acceptance really means is the act of open-hearted surrender to what “is,” without judgment, and with presence. Acceptance does not mean agreement. Once we’re actively “accepting,” we then have the opportunity to explore the meaning of our reactivity. “What’s this about?” We get to ask ourselves. Before any action is taken, we can get ourselves present and curious, the best place to create choices for how to respond. These first “2 As,” Awareness and then Acceptance, operate best in tandem, as, in order to do the critical, life-transforming work of personal change and growth, we have to gently accept where we really are, first. This is where it all begins. Appreciation requires realizing that the positives in our lives often get neglected and require our re-experiencing them in order to help us use appreciation as a great resource. Appreciation is exactly that and more; it’s an appreciation for “what” is revealing itself, for what we are allowing ourselves to become conscious of, tender and attentive to, and have compassion for within and about ourselves and someone else. With appreciation, we are able to comprehend that the moment we see reactivity, either in ourselves or in another, we are seeing into someone’s, or our own, pain. And moreover, this further enables us to release from harmful behaviors and beliefs. 1. Noticing → pausing → collecting energy → containing not suppressing it, when we get reactive or are find ourselves on automatic. 2. Conducting self-inquiry in order to discover, discern, and work with whatever reactivity or theme arises in the moment. Basically, what are our key identifications, core beliefs, and associated deepest concerns and feelings embedded in our Enneagram type structure that are up right now? 3. Mentoring our selves with the “inner coach” into conscious conduct. Conscious Conduct includes two interrelated forms: releasing into acceptance, using a receptive energy, and taking action that is respectful to self and the other. Both of which can allow integration of our positive resources, including our higher qualities, into our Enneagram type structure. 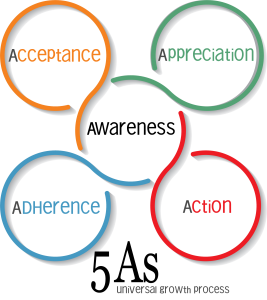 Adherence – committing to practice this process in our daily lives, especially in order to work with our reactivity and upset on a moment-by-moment basis. In time, we can more easily release from habitual and conditioned beliefs, feelings, and behaviors that no longer serve us. Note: This blog was developed with much input from my webmaster and colleague Suzanne Dion, also a certified Enneagram teacher. Please let me know what you think, feel, and experience. How do you experience change and development? What promotes your personal development? What kinds of processes/practices have you used to embody self-mastery development in your own life? These past few years, I have spent Sunday mornings with David’s Weekly Reflection on my Type 9. His book “The Essential Enneagram” is one that I recommend often. In practicing his teachings, I had a direct experience of deep compassion for myself as a Type 9, and my husband who is a Type 1. Even though my husband of 42 years has not studied the Enneagram, our marriage continues to become more and more joyful, rich and intimate. I deeply appreciate David’s life and I am grateful that you will continue to share his teachings with us. Peace be with you, J.D, Denise, Karen and Suzanne. I’m sad to hear of David’s passing. His wonderful work and caring spirit will continue to inspire many and make the world better. Your process reminds me of the Welcoming Prayer used in the contemplative Christian tradition where you bring the difficult emotion into your heart and hold it, sooth it, love it, saying, “Yes, you are part of me and I am here for you and I love you,” as you might a small, hurt child. It is quite amazing that within a minute or two the painful emotion just up and leaves, as a small child might run off after a few hugs and kisses. David, good morning. I’m considering joining the continuing learning group (Aug. 18-21) in the fall in Menlo Park. I see Helen, Terry and Renee are teaching. I wonder if you would have time or the inclination to join me/the group at one of our meals. It would be great to see you again. I’d love to meet your wife as well. Thank you for your invitation to come to Asheville three years ago for the intensive. The enneagram has changed my life. I have learned more about myself and how I fit into the world in these last three years than I learned in the previous six decades!